Life is so short. We get wrapped up in our own lives and our families that so often we forget. We forget to stop by and visit our grandparents on the evening we had said, we promise to make a coffee date with mom but it doesn’t come to fruition for too many weeks. We promise to call our good friend who lives in another city more often, but it’s not often enough. We are not alone in this. It happens to everyone. Being a parent, having a career, being a wife, taking care of the home, making meals, taking kids to classes, meeting that deadline, it all wraps us up and before we know it, we are in a bubble. It’s not that it isn’t a happy bubble, but it’s a bubble nonetheless. The bubble usually bursts when you get that unexpected sad news. The news that shocks you to your core. The one that makes you cry. The one that makes you think those few phone calls and Facetime just weren’t enough. But don’t wait for something like that to happen. Just do it. Call your cousin who you grew up with and haven’t spoken to in a year. Take your dad out for lunch, just because. Facetime, your college friend who you miss. Ask that mom, from the playgroup who you really connected with out to coffee. Make a plan to fly out and surprise someone you haven’t seen in a long time. You’ll never regret doing any of that. It may feel like there is no time, but when it comes down to it, if it’s important, you’ll find the time, you’ll make the time. 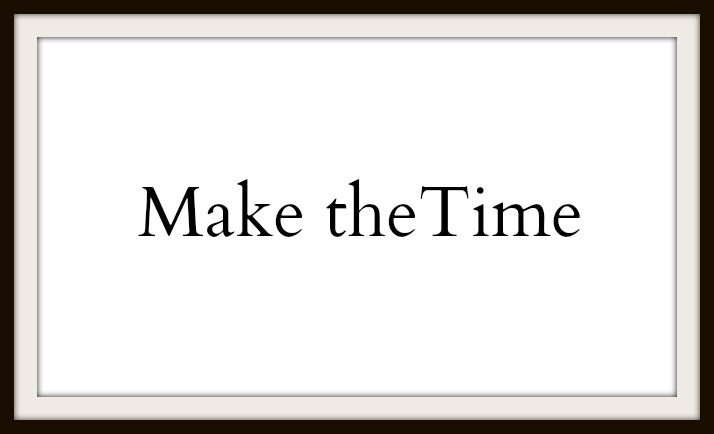 Make the time not only for your family and your life, which is inevitably the most important thing, but also for those who have shaped influenced and impacted your life and will forever have a place in your soul. I agree with you..we are so consumed with our own life, we often take things or people for granted and sometimes its too late. #This is so true. We take the circumstances in our life for granted until, one day, they are suddenly removed. Then, we’re left saying – if only. I’ll take your advice to heart. This was good advice to wake up to. There’s an 86 year old cousin I haven’t kept in touch with recently due to caring for two other relatives. Life is too short. Could not agree with this more! Life really is too short. so important, couldnèt agree with you more. time is the most precious thing, you cant get it back. Live life to the fullest, right Nina? So very, very true! And though I’m usually good at keeping in touch there are a few relationships I’ve let fall through the cracks! That’s so wonderful that you keep up with that Sarita! Thanks Salma! so true, it seems like that life is on fast-forward-mode, we are constantly on the run. It is good idea to slow down and take a minute to appreciate the ones that are important to us. This was a really powerful post! Thanks for sharing it. I don’t have anything profound to add except that I agree with the post and all the comments (lame, right?) but I saw your recent posts on FB and wanted to let you know I was thinking of you and your circle of friends during this difficult time. I needed this reminder today! Great post! So true! Life is short! Thxs for the reminder!